Toby Alderweireld to Manchester United? Manchester United for majority of last season had a new found defensive solidity that was typical of all Jose Mourinho teams. Solid at the back, gave nothing away but at crucial points lost a bit of focus that ultimately defined the campaign. 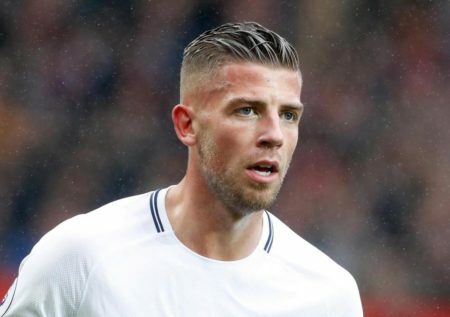 Ladbrokes exclusive offer on football betting has reduced the odds of Belgian defender Toby Alderweireld joining the Manchester United this summer as he still craves a move outside Tottenham. The centreback has attracted interest from Manchester United boss, Jose Mourinho in recent years as the Portuguese looks for a player that is tailor-made for the team and won’t have trouble adapting to the rigors and demands of playing for such a big club. Alderweireld was one of the best defenders at the World Cup, helping the Belgian national team finish third. He was majestic, vocal and was very instrumental in his team’s marvelous run. In the third-place playoff against England, he made a goal line clearance that John Terry would have been proud of. He anticipated the flight of the ball, angled his body well and put his leg over the ball to generate enough leap to take it away from goal. It looked simple, but very difficult to execute. United have a lot of centreback options but none have the clout and quality Alderweireld brings. Bailly is still raw while Lindelof was out of his depth last term. Jones and Smalling are a mistake away from disaster while Rojo still hasn’t inspired confidence in the heart of defence. Alderweireld is ready to leave Spurs after falling out with Mauricio Pochettino and then losing his place and at 29 knows time is running out to make that move to one of the biggest teams in the world. It would be a symbiotic relationship but United must make it happen first. City blew everyone away last term, but in Alderweireld, United can have someone that will be almost as important to the team as the strikers.